Donna Mazzitelli has been writing and editing throughout her life. Although she never considered herself a writer back then, her debut was in school, when she wrote stories and great introspective pieces. Donna’s professional career has been more of a meandering stream rather than a straight road to where she finds herself today. She’s come full circle back to her passion–writing, coaching others, and editing in a very personal way. 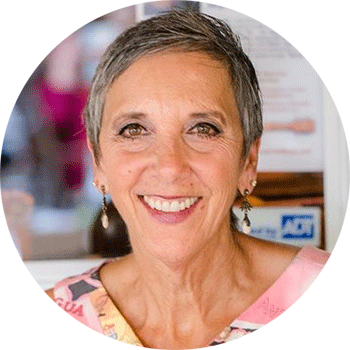 Throughout her work life, Donna supported organizations with her ability to write and edit. In the corporate arena, she developed policies and procedures, employee handbooks, and in-house training programs to improve product quality, customer service, and customer satisfaction and retention. Additionally, she wrote and edited in both the legal and medical fields for more than 15 years. Since that time, Donna has moved into memoir writing, blogging, informational articles for magazines and online communities, as well as coaching, ghost writing, partner authoring, and editing others’ work. Donna recognizes and supports the notion that everyone has stories to tell, information to share, and profound aha moments to reveal. Finding our voices is critical to living authentic lives. She especially enjoys helping others connect to their unique, core voice so they can share their heart’s story. The more we are able to share our stories from our hearts–whether fiction or non-fiction–the more our readership will connect with us and be transformed. And that is how we heal ourselves and our world! Whether you need help transferring your life experiences onto paper with the aid of a writing coach, a partner to co-author or ghost write your book, someone to spruce up your manuscript, or another pair of eyes to review your writing, Donna will support you to share a message that is crafted with heart. In 2013, Donna began her own small press to offer authors a venue for publishing their books. Merry Dissonance Press is here to support works intended to make a little noise in our world–works that create a bit of a rub. Just like the creation of a pearl in the oyster shell, it’s that continuous chafing that creates the most brilliant and lustrous thoughts and ideas to bring more light into the world. Merry Dissonance Press is here to support (non)fiction, poetry, and tales of wonder. Donna continues to work on her own writing. To date, she has written and published three children’s books, Warm Toes, The Great Stirring, and The Recycling Project. Keep watching for her first memoir to be released in 2020. Contact Donna, The Word Heartiste. She provides a complimentary 30-minute phone consultation.